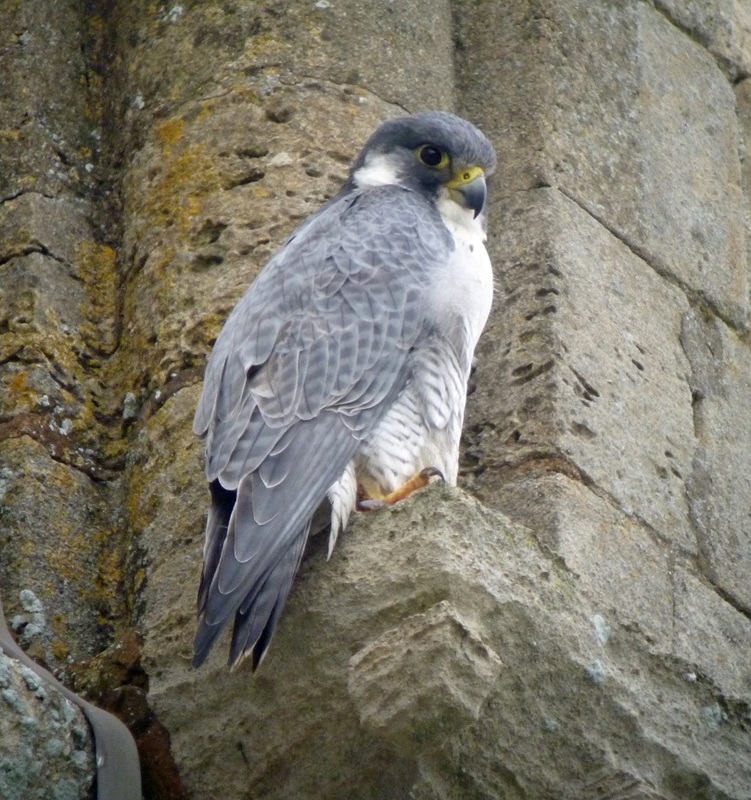 The camera on Tewkesbury Abbey tower has finally caught some action. Let's hope that they settle down.....! Dave Pearce took this photo at Tewkesbury today. We think this is CR (Christopher Robin). There is no sign of Alice at Tewkesbury, however she is regularly seen at Bishop's Cleeve. This account was send to me by Ann Jessop, a Bishop's Cleeve bell ringer. Last Saturday, Alice was spotted attacking a seagull which fought back amid lots of squawking, attacking, counter attacking, evasion, turning, dropping, feinting and chasing! Then a second peregrine appeared on the scene. The seagull stood his ground and Alice gave up the chase. One peregrine then flew off to the east and the other to the west. The question is who was this second peregrine? Was it CR, or was it a visitor from Christchurch, or somewhere else? Unfortunately, one was a pigeon! It's amazing that prey and predator can live so close side by side. Perhaps the pigeon knew that the peregrine had only just had his breakfast so wouldn't be hungry any more?